When Hurricane Katrina left Simone Bruni Crouere picking up the pieces of her home, life, and career in hospitality, her resilience and grit led her into a business of literally picking up pieces as a demolition expert. Founder and Owner of Demo Diva Demolition, Crouere built a million dollar business that serves as an inspiration to young women in the community just as they inspire her. “God, women, children, nature and animals inspire me. The inner beauty of young girls, resilience of women, and the glory of a tree ignite my joy to be alive and make the world a better place," says Crouere. These inspirations have led to Crouere’s involvement with Girls on the Run, which fosters strength in girls’ minds, bodies, and spirits, and the Louisiana SPCA, where she serves on the board. 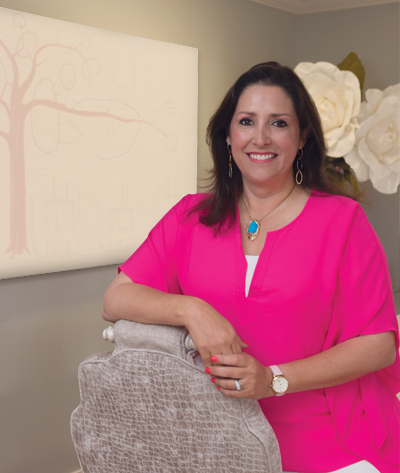 Crouere also serves on the board of Louisiana Women in Government, as an organizer of the Salvation Army Heels of Hope Luncheon, as Co-Chair of the 2018 American Heart Association’s Go Red Luncheon, and as keynote speaker at the 2017 Dress for Success Luncheon.